All Hesse HYDRO lacquers are formulated to be "creak-free"
We offer individual solutions for stair coatings, both in terms of color as well as technically. High chemical and mechanical resistance, creak resistance and toughness are standard for Hesse stair coatings. In buildings, the staircase shows us the third dimension; it is an important component of the architecture. 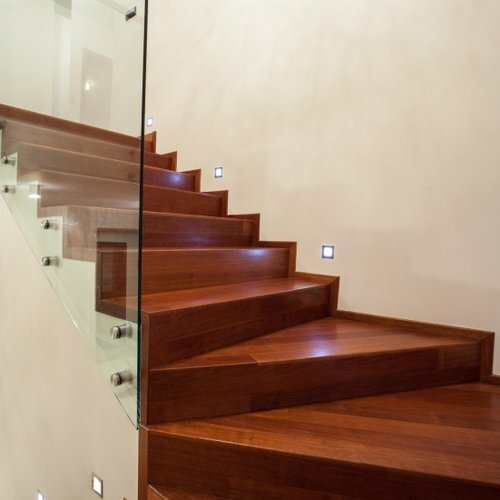 Throughout the course of time, modern staircases structures have increasingly replaced the traditional wooden staircase with a material mix of metal, glass and wood. The staircase design object is an important component of the open living concept and is thus receiving more and more attention from architects and designers. 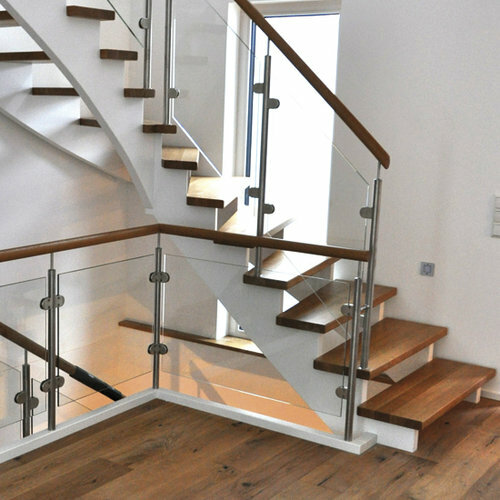 No matter whether it's a decorative design piece or a highly stressed usable object, the lacquer systems used in staircase construction must fulfill special requirements in order to contribute to the long service life of the staircase. 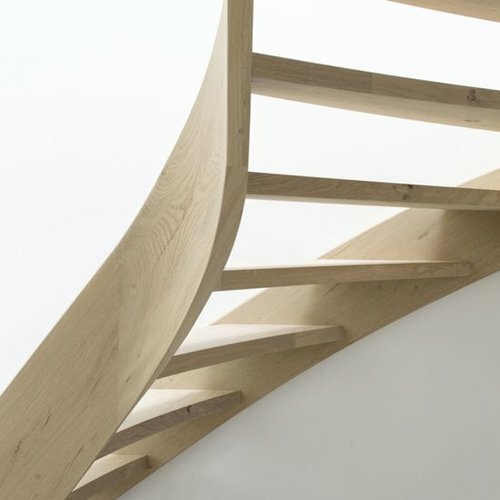 In addition to especially high chemical and mechanical resistance and good light fastness, coupled with good transparency and accentuation of the individual wood characteristics, stair lacquers should strike a balance between a furniture-style feel and the often-required slip resistance. In addition, lacquer systems with which railings are also painted must be especially resistant to sweat and lotion from hands in order to be able to survive the staircase's intense daily use. 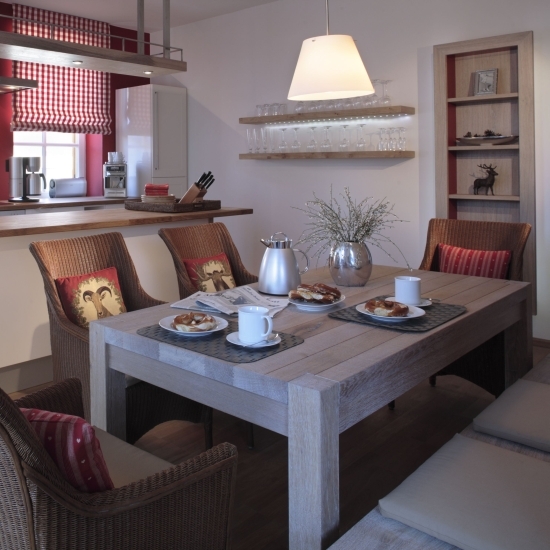 Individual colour designs are possible on almost all woods with our HYDRO stains BG *(colour tone). The mixing properties of the individual stains creates previously unimaginable possibilities. With the Hesse NATURAL-; NATURAL-COLOR- and NATURAL-SOLID-oils, you'll achieve a traditional oiled, open-pore surface. Of course, the building materials contain no lead and cobalt-containing drying agents, no oximes, and the construction products have been tested for emissions in accordance with DIBt guidelines. Corresponding slip inhibition properties according to DIN 51130 are also included. In the industrial sector, the Hesse product range also includes - in addition to innovative conventional UV lacquers with their outstanding chemical and mechanical strength - newly developed HYDRO UV lacquers which are applied by spraying and have a minimum throughput time due to the rapid industrial drying. For the manufacturing sector, our product range includes innovative 1C and 2C HYDRO varnishes for a wide range of applications: spraying - airless, airmix, compressed air spraying, curtain coating, and lacquer for roller or brush application. We also offer high-quality PU lacquers for special applications, e.g. outside the scope of the "ChemVOC-FarbV" (Decopaint Directive), as well as high-quality PU lacquers whose high resistance even makes them suitable for use on stairs. Another highlight is "Green Building" - materials with low levels of pollutants. This is where we use our HYDRO TOP-COAT. This innovative 1C HYDRO system is currently the only product on the market with a solvent content < 3%. In addition to its fast-drying properties, it has excellent chemical and mechanical resistance for 1C systems. Of course, it's also available in different colours: Hesse HYDRO PRO-COLOR; for coating colourful stairs! Of course, all HYDRO stair coatings listed in this catalogue are "creak-free"! For us, this goes without saying, since we've been setting these standards for our stairs for years thanks to the test method we developed ourselves and the innovative formulations we developed years ago. Last but not least, our programme includes suitable products for cleaning and care which are easy to handle and do not affect any slip resistance properties. Curious? Then browse our product range. You're certain to find your perfect match. Colourless, water dilutable, universally usable, good sanding properties, light inherent colour, good transparency, creak-free, LM <3%, suitable for "Green Building"
OE 52872: Fast-drying, butanone oxime-free mixture of natural oils, combined with alkyd resins refined with natural oils. The material is Decopaint-compliant and is characterized by excellent levelling, outstanding pore wetting.